Except that they are a small high-end company manufacturing sedans, touring wagons, coupes, roadsters, and motorcycles. And, lest we forget, sport-utility vehicles. Your comment is exactly what people said when the X5 first came out. I think variations on the touring wagon concept will sell. One and two box vehicles are more space-efficient than three-box vehicles, and if they can put some style and handling into the mix, they could do well. But then BMW's image in general becomes very unclear. When used to say BMW, you'd think of a 3 or a 5 series and its handling. I understand how BMW had to come up with an SUV line because Benz did it first. Now we have all brands doing it. But the fact is that crossover vehicles are just too strange, and in general persons shopping with BMW, Benz and Audi are usually not the type to do something "hip". Hip people buy ugly Nissan Xterras or Pacificas. 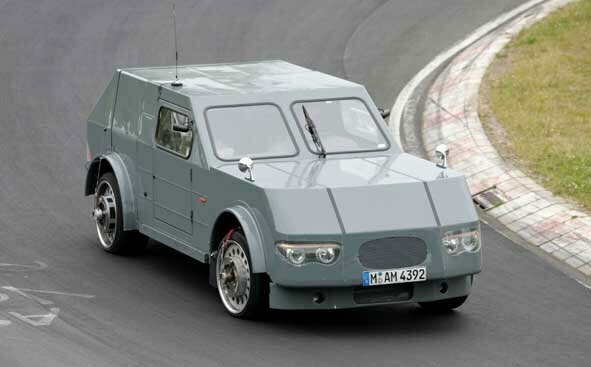 Are you sure this isn't the first vehicle from the Nissan/Renault/GM combine??? BMWUSA, give us the tank! ....BMW will unveil the RFK as a concept at the Frankfurt Motor Show in September as they want to show that they are not developing a "van". The car should be ready for launch in 2008. Which year's Frankfurt Motor Show? The last IAA Motor Show in Frankfurt was held in 2005 and the next one will be in September 2007. The 2006 IAA Show is for trucks and commercial vehicles and will be in Hannover. The Auto show and truck shows are held in alternating years and 2006 is a truck show year. If the RFK concept is going to be shown in Fall of 2006 then it will have to be at the Paris Motor Show which will be held from Sep. 30 to Oct. 15.